If you didn’t know by now, the Steam Forums were “temporarily down for maintenance” on November 6th. 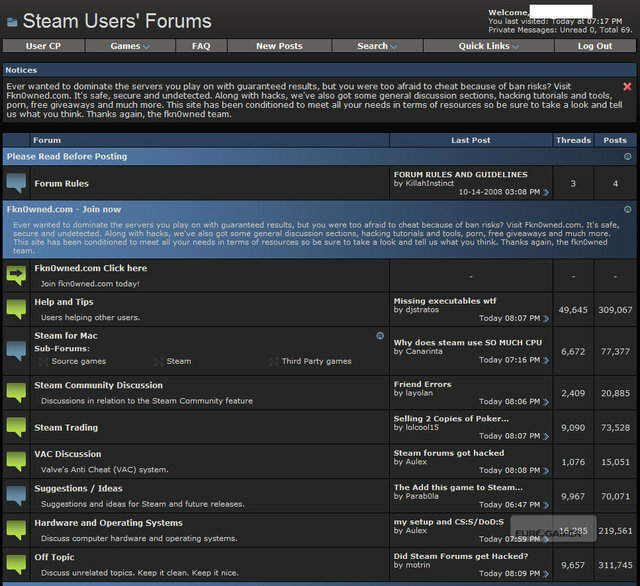 Somebody hacked the Steam forums to add their own official notice section at the top of the forums pointing to a website. The following screen shot shows what had happened to the forums. This hack goes beyond the Steam forums. 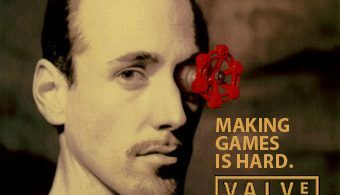 A Valve owned database containing personal information such as credit card numbers, Steam account information, and other personal information has been compromised. We don’t have evidence of credit card misuse at this time. Nonetheless you should watch your credit card activity and statements closely. While we only know of a few forum accounts that have been compromised, all forum users will be required to change their passwords the next time they login. If you have used your Steam forum password on other accounts you should change those passwords as well. We will reopen the forums as soon as we can. I am truly sorry this happened, and I apologize for the inconvenience. Maybe the hackers were able to confirm the existence of Left 4 Dead 3 while snooping around Valve’s database. “Left 4 Dead: Survivors” Announced.